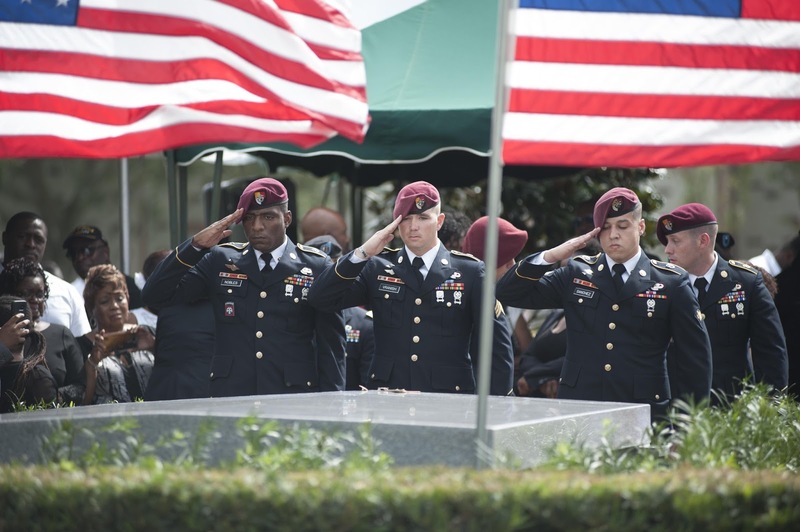 A new classified report by Pentagon listed poor training, complacency and a culture of excessive risk as the factors which contributed to the deaths of four U.S. soldiers who were ambushed during an operation in Niger in October 2017. Officials familiar with the report also detailed how low-level commanders resorted to shortcuts when it came to approving operations, with at least one of the commanding officers lifting orders from a different mission and pasting it on the “so-called concept of operations to gain approval." The Wall Street Journal, citing information from sources, said the recommendations approved by President Donald Trump to grant low-level military officials to make decisions may not be a contributing factor in the death of the U.S. soldiers in the Western Africa nation. The classified report was sent by Pentagon to the Congress and officers in the military in order to brief the families of the fallen soldiers. A declassified version of the paper will be released to the public in the coming days. The mission in question began on Oct. 3, 2017, when 12 U.S. soldiers, led by Green Berets, joined forces with the Nigerian troops on a routine patrol in the southwest part of the country, near Mali. According to a report in NPR, U.S. soldiers have been helping to train, advise, and assist the Nigerian military since 2013 in its war with extremists linked to the Islamic State, however, they were not supposed to participate in the combat unless they themselves come under fire. The initial mission was for U.S. and Nigerian forces to meet village leaders but instead of returning, the U.S. troops were given a new assignment by a junior officer without making the senior officers aware of it. The soldiers were not prepared to battle with the militants and did not have proper planning, training or heavy firepower and as a result, they along with the Nigerian forces were ambushed by 50 fighters in a two-hour shootout in Tongo Tongo, Tillabéri Region in southwestern Niger. The four U.S. soldiers who were killed were later identified as Staff Sgt. Bryan Black, Staff Sgt. Dustin Wright, Staff Sgt. Jeremiah Johnson and Sgt. La David Johnson. In addition to that, five Nigerian soldiers were killed and two other U.S. soldiers were wounded. The report by Pentagon does not hold anyone responsible for what happened in Niger but it does affirm there were failures at multiple levels and firmly asks the issues to be addressed by the Army and the Special Operations Command. The report also includes measures suggested by Defense Secretary Jim Mattis which aims at preventing any such incident from happening again, including “reinforce normal protocols within the chain of command,” sources said. The report made based on a Pentagon investigation, which took months to complete, consists of testimonies, diagrams, maps and video from the helmet camera of the soldiers that were present at the time. It also includes statements from the Joint Chiefs of Staff and from the Africa Command.